Many people hear “vacation” and think of lounging around by a pool, gorging on exotic foods, and coming home with an extra 10 pounds of souvenirs on your hips. Sure, there might be a gym in your hotel, but chances are you’ll be more concerned with happy hour than cardio hour when you’re taking that much deserved time off. But instead of returning home from a vacation all lethargic and bloated, what if you could come back from traveling feeling better than ever? 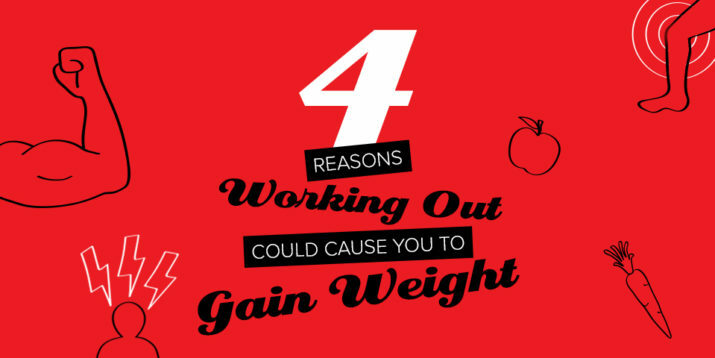 More energized, more rejuvenated, and in even better shape? With these fitness-focused vacation destinations, all of that is possible! Set in gorgeous locations around the globe, these active vacations will allow you to enjoy your surroundings, take in the local atmosphere, and stay active all at the same time. Who said you can’t have it all? ​Not all “fitness vacations” have to be centered around intense activity. Take this luxurious, eight-day yoga retreat set in the beautiful islands of Lefkada, Greece, for example. And it’s not just any yoga retreat — it’s a 50-hour training program led by Zen Master Vidhi Chhariya, who will guide you through Zen mediation, healing practices, and an array of yoga types, including Hatha, Ashtanga, and more. It’s even suitable for all levels! You’ll also get to enjoy the vegetarian and vegan meals that are included, plus a stay at a luxury villa on the gorgeous island. The week-long retreat starts at $2,954 and is available in both May and October. If you’ve never been to the Vietnamese countryside, be warned: It’s pretty darn majestic with its green valleys and impressive mountains. Instead of flying or driving through the Southeast Asian country, why not do your sightseeing through a biker’s POV? 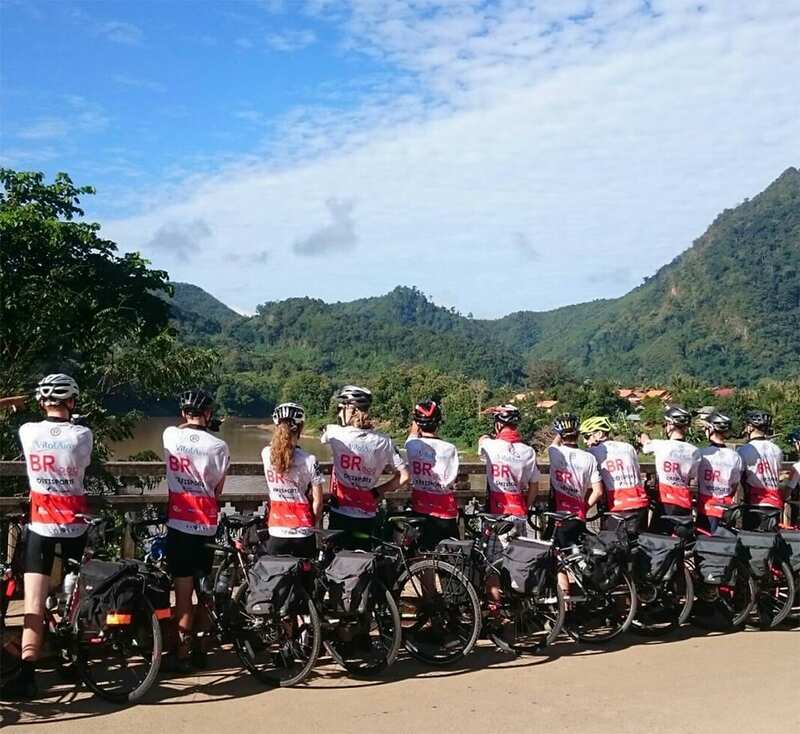 Sinhbalo Adventure Travel offers multiple route options for a variety of budgets and interests, so you can get a more intimate experience viewing waterfalls, mountain ranges, cities, and heritage sites — all while getting in a solid leg workout! Though a basic level of fitness is ideal, travelers can find a trip option that suits their individual abilities, ranging from two days to 10 days on the road. Lodging, most meals, and bikes are included, so all you have to do is show up, pedal, and enjoy! Surfing might not be the first thing that comes to mind when you think about a vacation in France, but this trip will quickly change your mind. A surf camp is a great way to relax, unwind, take in beautiful ocean views, and still get great daily workouts. 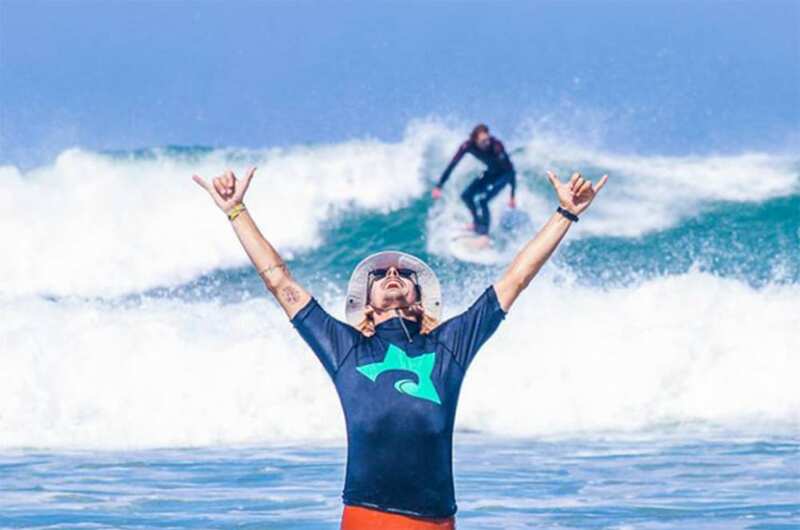 At the Star Surf Camp in Moliets, France, you not only get top-notch surf lessons on beginner waves, but they also offer yoga classes with professional instructors. You can choose from different packages with prices ranging from €349 to €559, depending on the time of year. Daily workouts along the French coast? Sign us up! 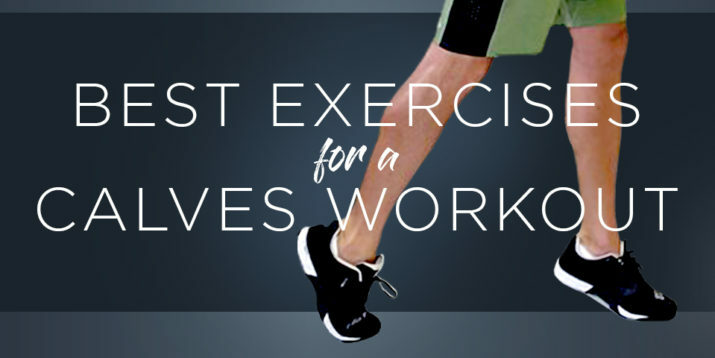 Want to work up a sweat, even in the chilliest of climates? For those looking for a magical winter wonderland vacay that incorporates health and fitness, head to Vermont’s Trapp Family Lodge for a cross-country skiing experience suitable for all levels. You’ll feel like you were dropped right into The Sound of Music as you ski and snowshoe through the fresh powder trails. The lodge also comes with a tennis, yoga, and fitness center, as well as tons of other activities and amenities. Hiking ​and wine? Talk about the perfect combo! 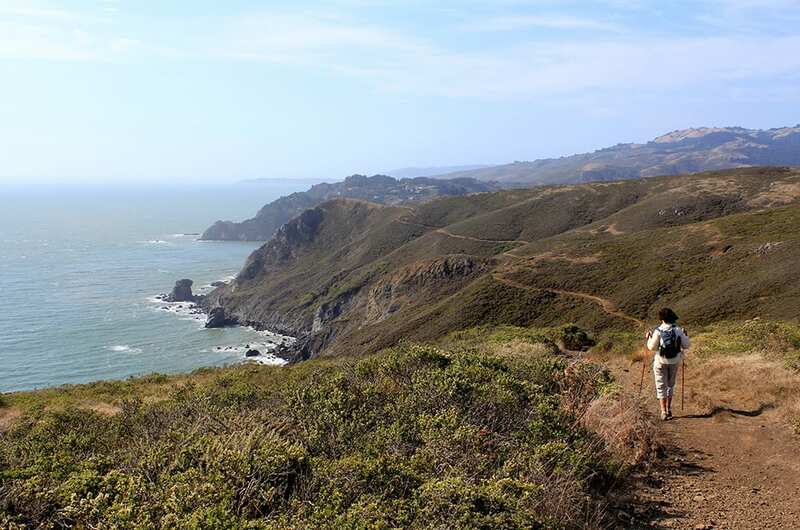 For a “luxury by foot” experience that’ll get you feeling a little silly, Wine Country Trekking offers a dream vacation filled with vino and fresh air. Based in the San Francisco Bay Area including gorgeous Sonoma and Napa, the treks are self-guided, meaning you won’t be surrounded by a group of strangers as you make your way through Wine Country. Choose between trips that range from three to 10 days with varying miles of walking per day. The service provides you with a complete itinerary, including detailed trail notes, and they’ll arrange all meals and lodging for you. It even includes special excursions like kayaking and wine tastings at estate wineries! 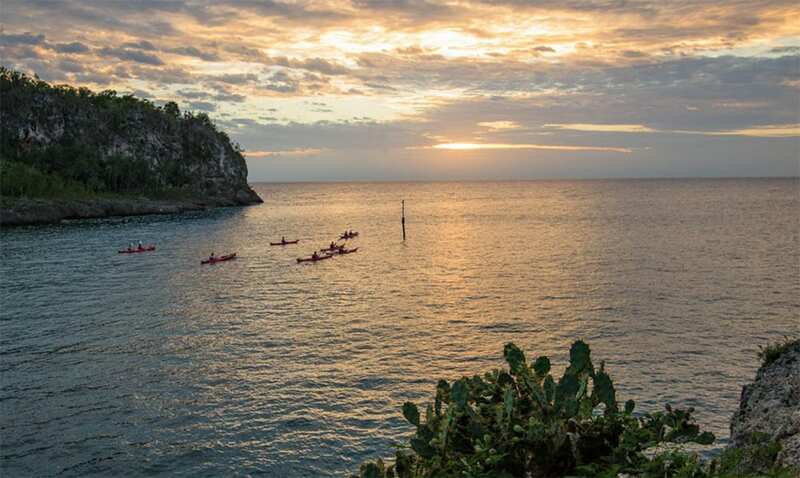 Cuba Unbound’s Kayak Tour will undoubtedly blow your mind (and body). Work your arms for eight days while exploring forests, cities, beaches, and wetlands, like the Bay of Pigs, Zapata National Park, Havana, and Guanaroca Nature Reserve. You’ll even get in some hiking and snorkeling, too! The trip comes to a total of $2,990, which includes meals, lodging, entrance fees, a local Cuban guide, and more. December through May is the best time to go if you want sunny skies, and you should avoid traveling between August and October, when there is a greater risk of hurricanes. Could there be a bigger adrenaline rush than getting up close and personal with some of the planet’s most beautiful creatures on a walking safari? Although the walking portion of this fitness-focused vacation might be more on the leisurely side, your heart will surely race when you have your first encounter with a pride of lions. The Bushcamp Company walking safari lets you explore national parks and wetlands, learn how to track a leopard, watch lions devour a recent kill, and peer through bushes to witness animals cooling off at a watering hole — all by foot. 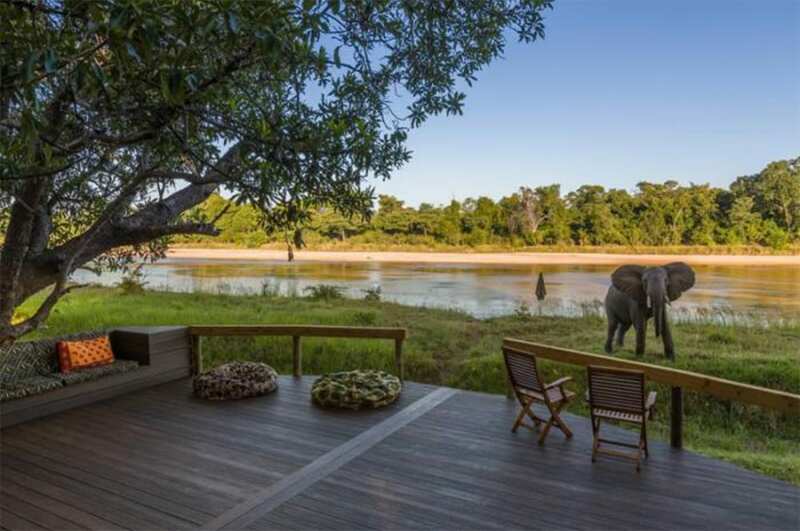 Choose between six different locations in South Luangwa, all of which provide an intimate atmosphere (meaning no more than eight guests), beautiful chalets, and plenty of wildlife. Head there during their dry season (May to October) to avoid getting rained on and to make sure you don’t miss seeing any cool animals!